Ever since I started to have more time available to cook as it doesn’t take us an hour plus to get home anymore I have really enjoyed trying new recipes and trying little tweaks to perfect them. This also means that I have really gone off eating the ready made sauces that we used to end up eating because cooking from scratch was not appealing after our journey home. I can really taste the sugars and salt that are put into the sauces and they just don’t taste the same to me. 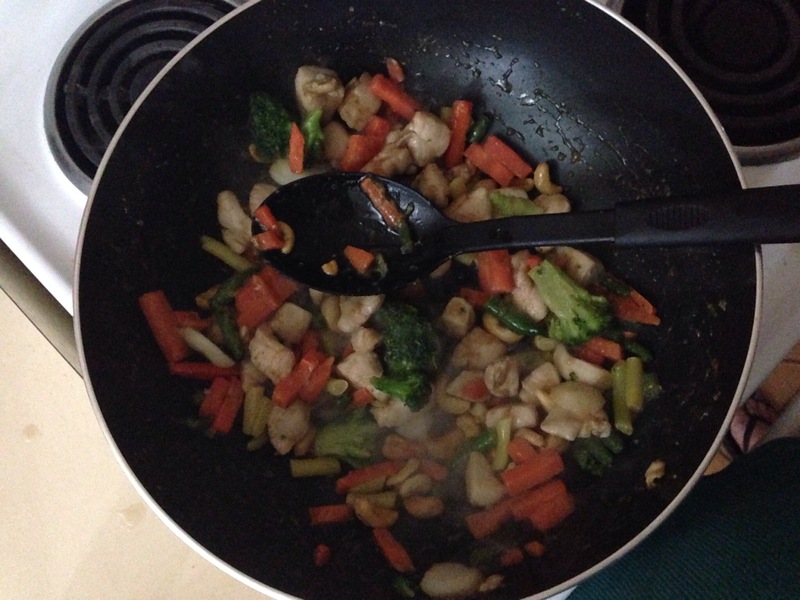 A recipe I always enjoy is my Honey and Ginger Stir Fry. To begin with the recipe didn’t include ginger so it was more honey and sesame and it was nice but adding the ginger, has in my opinion, really improved this dish! I also use half of the sauce to cook the chicken and then the other half over the vegetables and noodles when they are just about cooked. 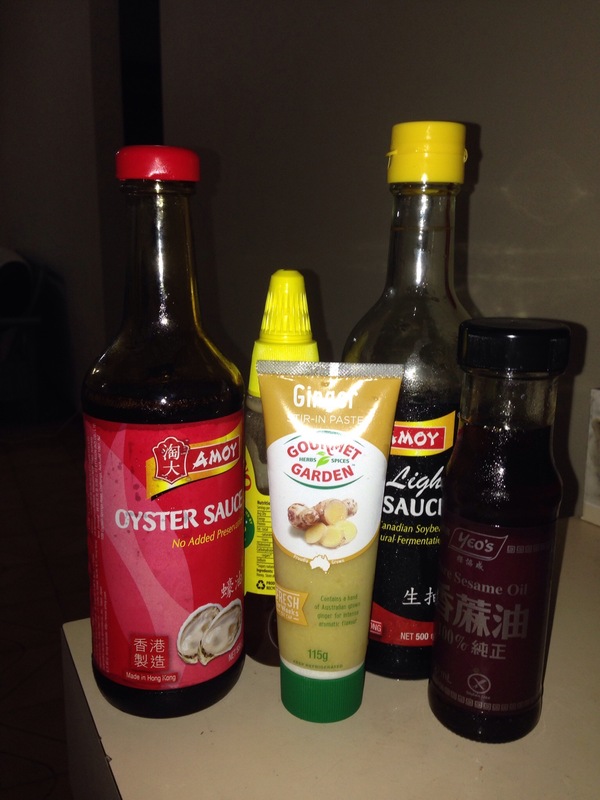 I then mix the honey, soy sauce, oyster sauce and sesame oil in a bowl with one cup (measuring cup) of cold water. 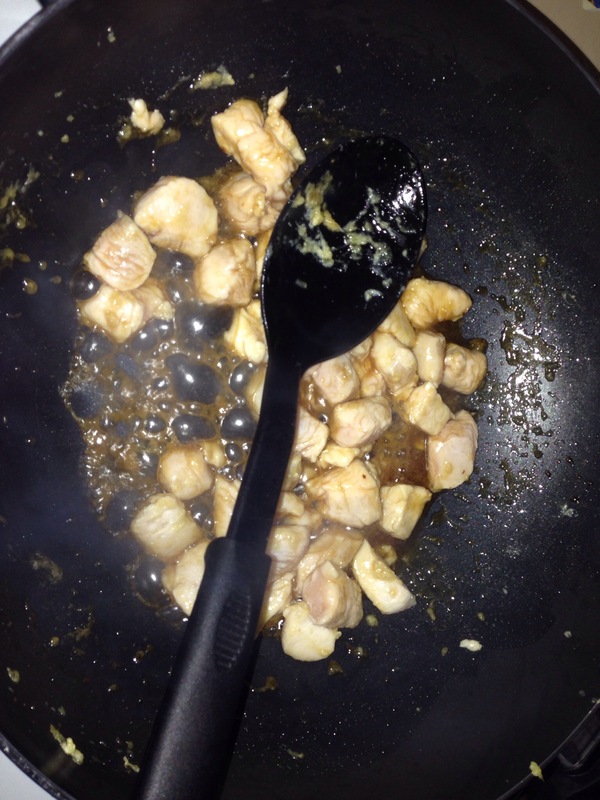 Heat some olive oil in a pan and when it is hot add the ginger paste and the chicken which is cooked until it becomes golden brown. Once the chicken is browned pour in half of the sauce and cook for 2 to 3 minutes before adding the stir fry vegetables which I cook for about 5 minutes (following the packet instructions for the vegetables). Once the vegetables are starting to cook throw in the cashew nuts and add the remainder of the sauce to cook everything together. When the sauce is heated add in enough noodles for the number of people you are feeding and cook them through until heated and then serve! Wow, this looks delicious!!! 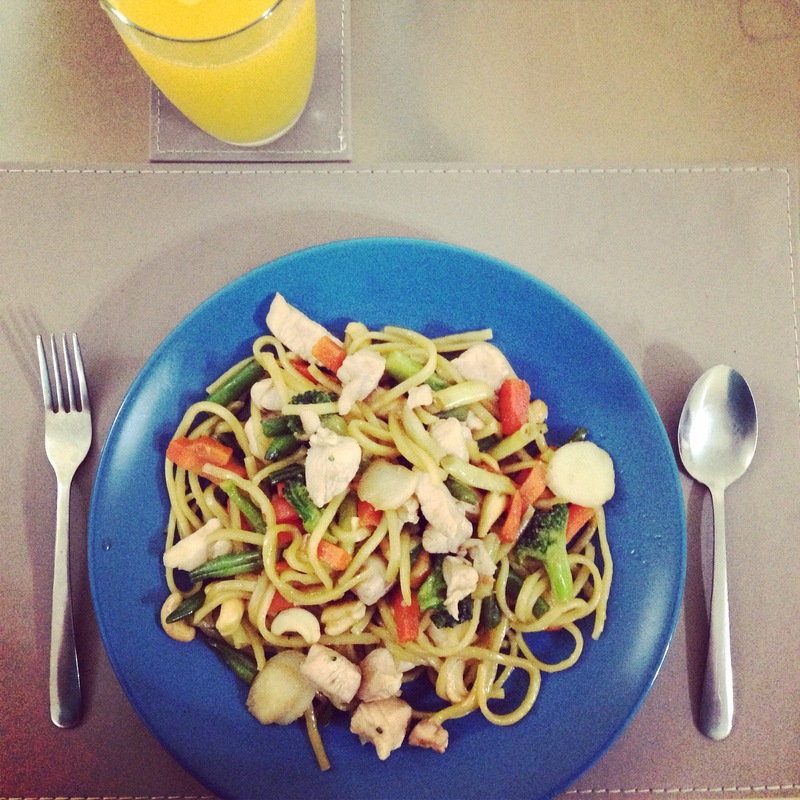 Definitely whipping this up next week for dinner! I think that everything said was very logical. But, think on this, suppose you added a little content? to open the links. You might add a video or a pic or two to grab people interested about what you’ve got to say. Thank you for your comment. I appreciate the feedback and that my blog won’t be to everyone’s “tastes”.